A client in the beverage industry needed to heat aluminum caps for a cap sealing application. The application involved reusable caps on aluminum cans. THE LAB at Ambrell determined that an EKOHEAT® 45 kW, 50-150 kHz induction heating system equipped with a custom coil and remote workhead would work well for this heating application. 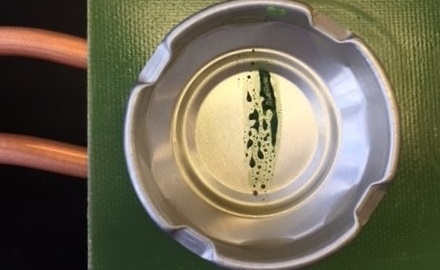 The objective of this application was to heat an aluminum seal for cap sealing to a plastic container. 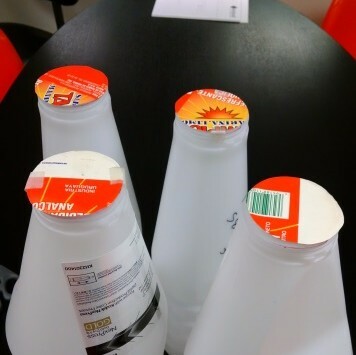 The client had been using another method for cap sealing which was more time and labor intensive. The client turned to THE LAB at Ambrell to see if induction heating with an Ambrell system could allow them to reduce their cap sealing process time to just seconds.